When Jamie Jolly came to us and told us that he'd spent eight years working on a mecha wargame that had fog of war, a map of hidden units, customisable armies and terrain, environmental simulations, and that it played in under an hour, and that it was suitable for new gamers, we thought he was crazy - and don't get me wrong, he is a bit. But so are we. So we took it on. In FARSIGHT, each player controls one of four powerful private military corporations: Ares, Zafar, DAIA, or Vestus. 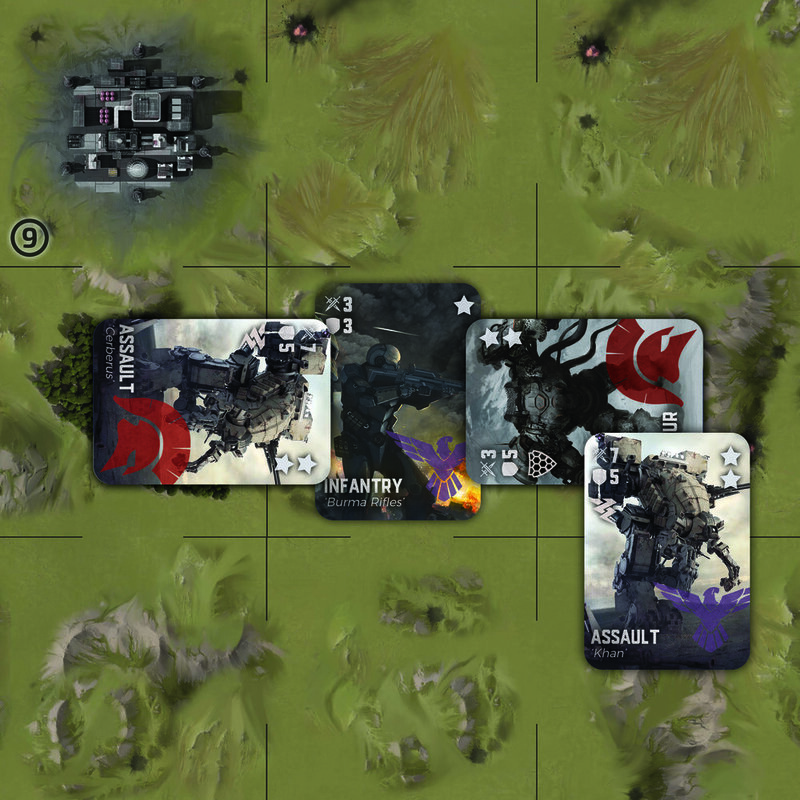 By building up a force of powerful mechs, infantry and artillery, as well as hidden specialists such as saboteurs, assassins and AI 'Seers,' players must use their wits to wrest control of key bases and claim the world as their own. Our favourite thing about FARSIGHT is just how easy it is to get to grips with for the amount of strategy it offers. 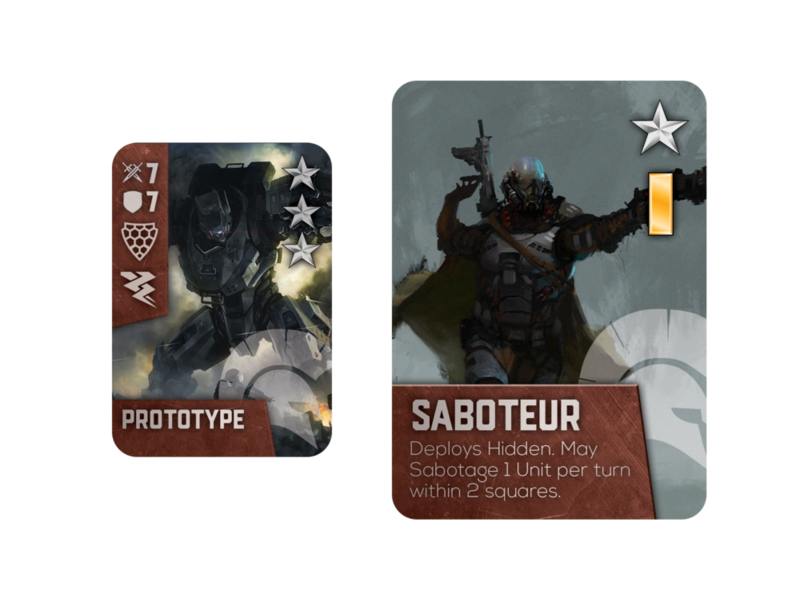 With four simple phases and a handful of combat modifiers, FARSIGHT eases players into effortless strategic gameplay. While it might seem intimidating at first, before long you'll be flanking, ambushing and conquering your corporate rivals. Out the box, FARSIGHT supports up to four players - great value, compared to many war games. But that is just the tip of the iceberg - the core box also contains a blank map, with cards to customise the terrain for each game, offering billions of potential layouts. If that wasn't enough, there are also enough units in the box for each player to build a completely unique custom army to wage war with! To complement the core game, we also sell The War Chest - a set of 40 high quality miniatures of the infantry, artillery and mechs in the game. We are proud to say that The War Chest offers unrivalled value - even at £60 (or £1.50 a miniature) this is half the price of equivalent sized models from other companies.